Classical Homoeopathy has become an increasingly popular therapy in recent years, its use providing effective treatment of both acute and chronic illness. 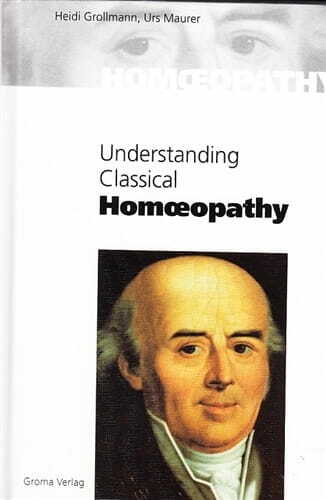 This book explains the fundamentals of Classical Homoeopathy in a simple and easily understood way. Its aim is to help those already receiving homoeopathic care to understand their treat-ment better, as well as to be an informative introduction to those who have an interest in the subject, or are looking for a better way to care for their health and the health of their family. This book has become an extraordinary best-seller in the German-speaking world. Homoeopaths across Europe are recommending it to their patients. There are chapters explaining the basis of homoeopathy and its practice, as well as individual chapters on the use of homoeopathy in pregnancy, children, sport, and first--aid, and Frequently Asked Questions. For an even greater understanding of homoeopathy, a list of suggested reading is also provided. This beautifully produced pocket sized book was written by two Swiss homeÂ­opaths (who teach and practice classical homeopathy), having sold well over 15.000 copies in its original German text. Their aim was to produce a book for patients, who, through reading it, could gain a better understanding of classical homoeopathy. I myself fully agree that the 'education of the patient' is very important. The more our patients understand, the more they can participate in the process. The more they become aware of the process, the more they can take responsibility for their own healing path and the clearer they will begin to express their state and their susceptibilities to us. All we then have to do is to connect these expresÂ­sions to that similar image of the most appropriate remedy. I really looked forward to reading this book! The book is divided into 23 small, accessible sections with seperate headings. The first four gave a brief biography of Hahnemann and introduce the concepts of similars, the vital force (although I would debate the term 'superior' enÂ­ergy), individual susceptibility, causation, totality and disease. This was achieved in just eight short pages, quite a feat! To illustrate the holistic nature, there is a little diagram of three intersecting cirÂ­cles, entitled 'body', 'spirit' and 'soul'. The sentence underneath reads: 'HomeÂ­opathy views people as a unity of body, mind and spirit'. Not only is this confusÂ­ing as it does not tally with the headings of the circles, but I also feel that the noÂ­tion of 'soul and spirit' is something to be discussed on a much deeper level than is possible in a book for patients. Personally I would have kept to a notion of balance between body, mind and emotions. (There is a very good clarificaÂ­tion of the concepts of 'spirit' and 'soul' according to the philosophy of HahneÂ­mann's day in the glossary of Wenda Brewster O'Reilly's 'Organon of the MedÂ­ical Art'.) Our contemporary underÂ­standing of 'soul' varies greatly, just as it has done throughout the history of phiÂ­losophy and religion. However, there is a very nice and simple comparison beÂ­tween homeopathy and orthodox mediÂ­cine, which in a way sums up the previÂ­ous pages. The next four sections discuss homeoÂ­pathic pharmacy, potency, dosage and the concept of the single dose, using easÂ­ily comprehensible analogies to illustrate various points. This is succeeded by a discussion of the concepts of acute and chronic, with an in-depth discussion of 'miasms'. The authors state in their inÂ­troduction that they expanded on this chapter in their fourth edition due to nuÂ­merous requests. Although very well written, I again find this to be a question of appropriateness of level. Is it targeting patients who want to understand the process of homeopathic treatment better or people who might be considering a further study of homeopathy? The next section tries to address the limÂ­itations of homeopathy, but the title 'incurable disease' sits very uncomfortably with me, and it opens a completely new debate of what 'cure' actually means. This does not get discussed to some degree, but in my mind an incurable case is simply one where the vital force is no longer able to bounce back or respond to a similar remedy for whatever reason (e.g. due to suppression, extremely low vitality, etc.). Do irreversible symptoms or conditions, as is suggested here, constitute an incurable case? The next two sections discuss the 'healÂ­ing process', including aggravation and direction of cure, which are of course of paramount importance for our patients to understand. I found this very well handled. The authors also touch upon another important aspect of the treatÂ­ment, namely the expectations of the paÂ­tient, which I call the dilemma of the 'quick fix' versus 'the process'. 'Suppression' on the other hand, is the area where we cross paths with convenÂ­tional medicine and face many fears in our patients. My own vision of homeÂ­opathy is pretty uncompromising in terms of its basic philosophy, yet conÂ­tains the idea of integrated health. How were the authors going to address this isÂ­sue? What I found was a nice, simple exÂ­planation followed by case examples for the incidents of orthodox and homeoÂ­pathic suppression. However the issue, of where this leaves the patient in terms of their conventional treatment, is not addressed. The remainder of the book seems to be more informative. There is a list of facts we need in the consultation followed by several short chapters entitled 'the conÂ­stitutional treatment' (really just a reÂ­minder of holistic and chronic treatÂ­ment), 'homeopathy during pregnancy', 'homeopathy for children', 'homeopathy in sport' and finally 'how to take your remedy'. It is a great achievement to write a book that is so readable and accessible to the lay person. My only criticism is that the level, (somewhere between that of the patient and that of the beginning-of-the-first-year student), could still be fine-tuned to the needs of the patient to understand. Although a German native speaker, I have not read this book in its original. I am left with the suspicion that the occaÂ­sional expression has lost something in translation. For example, the before-mentioned term 'superior energy' may have been translated from the German 'iibergeordnet', which has a connotation of hierarchy, rather than supremacy. But overall the translator has succeeded in making the book very accessible and easy to read. I will happily recommend it to my patients!